It is finally starting to feel like Summer has arrived in London and that means new and exciting Spring/Summer menus all over the Capital, in the most exclusive bars and restaurants. Here is our selection of the drinks you should be pining after this month and where to find them. Small Batch Bourbon married with peach and elderflower, shaken with fresh strawberries, mint and lemon juice. 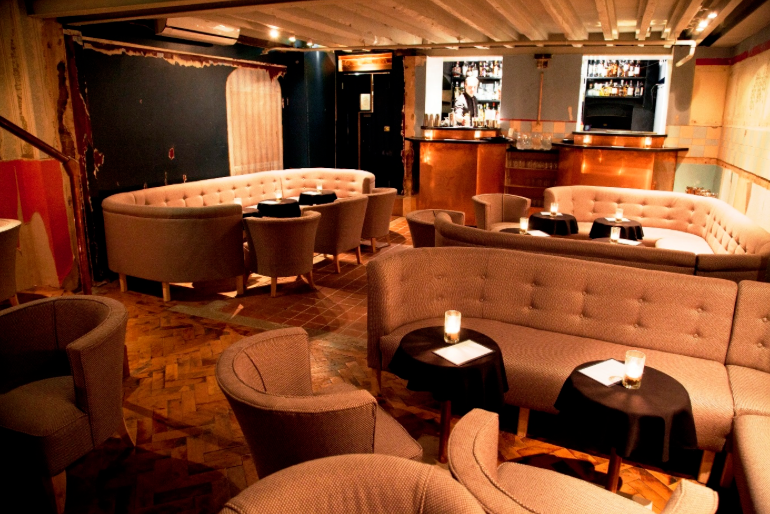 Located in an underground basement just off Goodge Street, this quirky cocktail den is the perfect place to see a few friends for drinks after work and we guarantee they will be very impressed with your selection of venue. Gin, golden syrup, elderflower and carrot juice. Located in the infamous Soho area of London, Basement Sate offers not only an array of cocktails but also a selection of divine desserts, perfect if you’re looking for an evening of indulgence. Zubrowka Bisongrass Vodka shaken with lemon juice, Vanilla Liqueur, fresh ginger and apple. It was a tough call but at BOE we’ve decided the Bourne and Hollingsworth Buildings is possibly our favourite venue on this list. Inspired by the decadence of a stately home the buildings include a stunning greenhouse and garden room, and an ethereal bar and café area, making this venue a must-see. Damson vodka, Martini Bianco, lime jam and Prosecco, accompanied by a chocolate net. 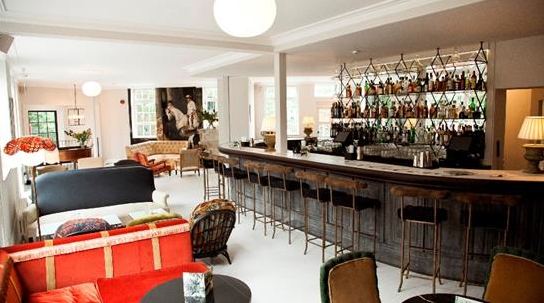 Situated on the King’s Road, The Jam Tree Chelsea is quickly becoming one of London’s hot spots and we understand why. 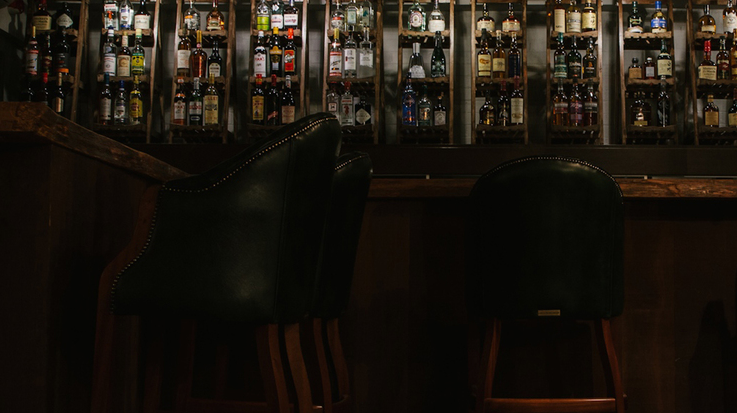 Jam Tree has a recently refurbished Loft Bar, filled with sofas and sharing tables making it the perfect venue for meeting up with a group of friends, and did we mention their diverse selection of bespoke cocktails? Which happen to be some of the funkiest named cocktails we’ve seen. Chateau Boulard Calvados, Trois Riviere Rhum, fresh lemon juice, sugar syrup, leather-infused angostura bitters and matcha tea dust. 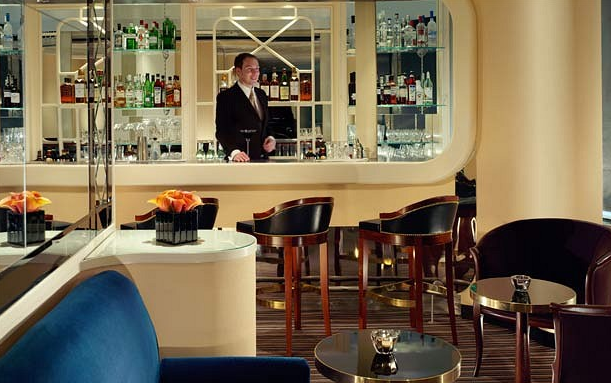 The exclusive American Bar at the Savoy is often considered as one of the most sophisticated cocktail bars in all of London and we see why. 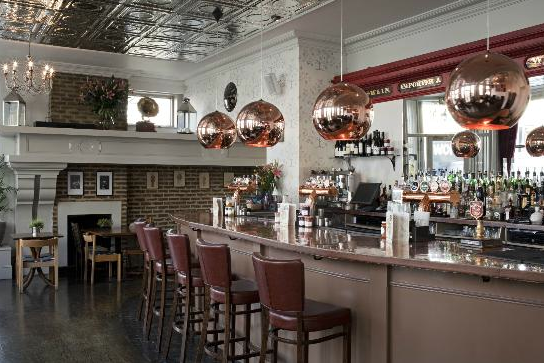 If you are a lover of the Art Deco period then this is the place for you, a curved bar, white ceilings, art deco mirrors and furnishings entering the American Bar is like taking a step back in time. A truly innovative experience and did we not mention that your visit will be accompanied by a jazz pianist? This must be what they call the American Dream.